The Dongfeng Race Team boat is consolidated in the lead of the third leg of theVolvo Ocean Race, regatta between the UAE and China. The next hosts of the around the world support the tip almost from the start, showing that you really want to cross the finish line at home in the first place. Wind conditions presented-low intensity – forced the Chinese and the other five teams to increase the number of manoeuvres. The flotilla sails slowly by the Arabian Sea and must pass through the southern India by the end of the week. Who’s on first is always the target of attacks and, therefore, the Dongfeng wants to make everything all right for breaching the Team Brunel, who was second in last update Thursday afternoon (8). The Chinese are followed by the Dutch Team’s Brunel. Following appear Abu Dhabi, Team Alvimedica, MAPFRE and Team SCA. The Brazilian André ‘ Cheek ‘ Fonseca believes it is still possible to achieve the leader. 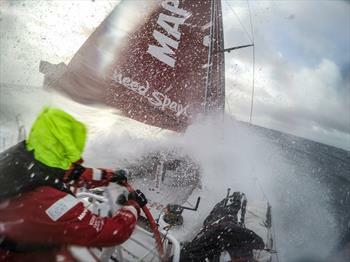 “Dongfeng is more advanced, but the race is too long and has too much water to roll. We run only five days of the third step. 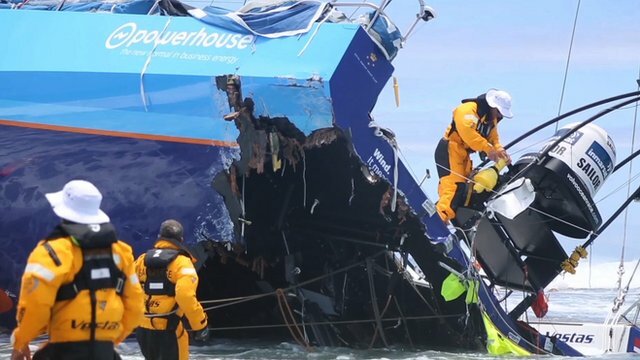 Our team-MAPFRE – managed to bounce back and we’ve got until visual contact with two other boats. The wind, for your time, follows basanta unstable and little sleep last night with so many maneuvers made”. The progress of the boats may be accompanied in virtual regatta Web site.